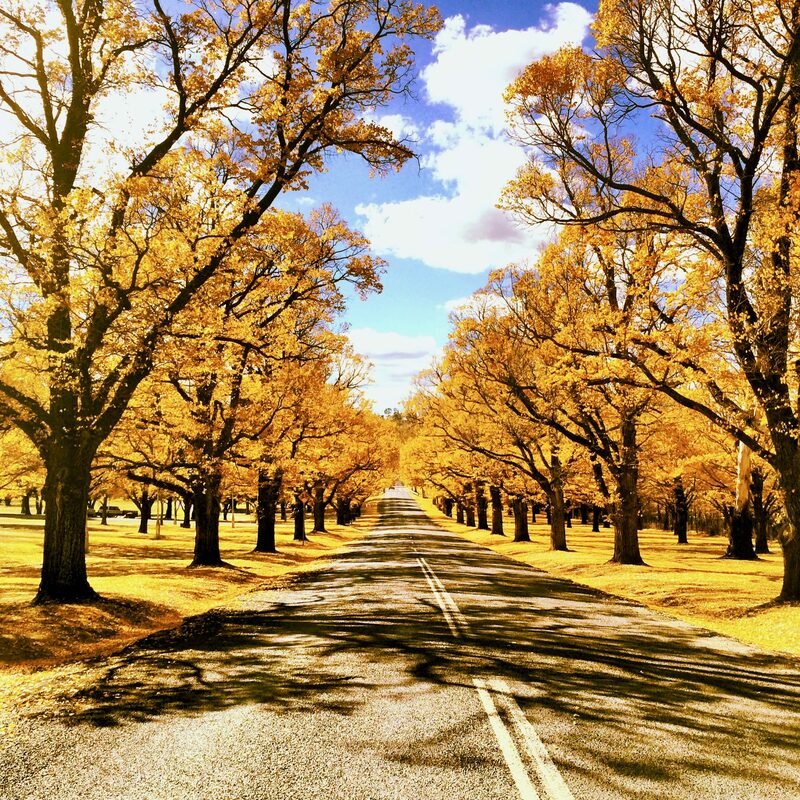 Driving back into Armidale after an exhilarating week on the road, we were warmly welcomed by the magnificent flourish of autumn leaves donning our cherished tree lined avenues. The riot of once rich, lush green leaves had been transformed into the softer whispers of yellows, oranges and burning reds. Highlighted by the setting sun, the leaves seemed to bring unusual warmth to the brisk New England air, and with it an excitement that it may finally be acceptable to light our beloved wood fires. Since joining the Discovery team, I have developed this newfound addiction of wanting to know all the functions of our living and dynamic world. Is it perhaps my science-trained brain? Not solely. I think it may be the fact that I am surrounded by the extensive knowledge of an incredibly clever team, passionate about sharing their knowledge as scientists and science communicators and constantly willing to explore, play and ask lots of questions; encouraging our students to do the same. It feels as though somewhere along the line, students’ desire to ask questions has been somewhat quashed. How can this possibly be? Children’s curiosity for our world is astounding, and they should have unrestricted opportunities to extend this through all exploratory and transformative experiences possible, encouraging questions and producing those ‘I get it’ moments. This is very close to our hearts at Discovery. So, as I realign this tangent, I too have a question. 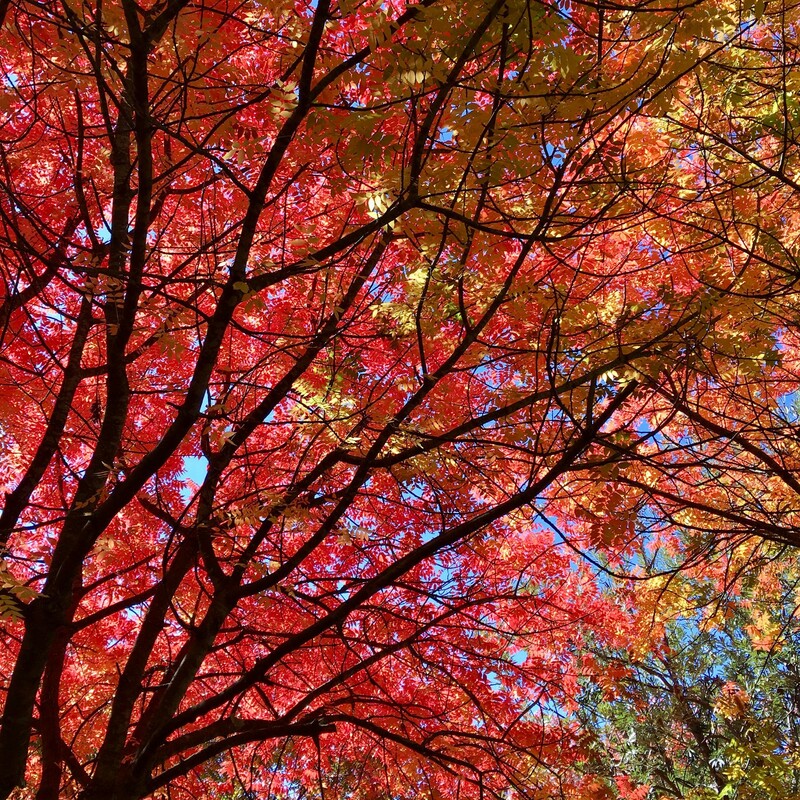 Why are we seeing such brilliant colours produced on our deciduous trees during autumn? What does it all mean? Funnily enough, this process is closely related to the hibernation of many animals in the colder months; and with the cold Armidale winter fast approaching, I sometimes wish I could do the same. Often associated with low temperatures, the process of hibernation is to conserve energy when sufficient food and resources are unavailable. From a physiological background, this energy conservation is achieved by a decrease in metabolic rate, or the speed at which food is converted to energy to run specific cellular processes. But how on earth does the hibernation of our friendly neighbourhood specialised mammal or reptile relate to the changing colours of autumn leaves? For us to understand this we must switch to our Botany brains and discover what functions leaves undertake. Like our friend bat or snake, leaves constantly undertake their own forms of metabolism during the warmer months. These floaty appendages act as a food factory for the rest of the tree through the process of photosynthesis (phōs, “light”, and, synthesis, “putting together”). Instead of delectable insects and other foods sourced by mammals and reptiles, plants utilise water from their roots and sunlight and carbon dioxide from the air to create their food, glucose. This complex chemical reaction allows the plant to use glucose for energy, as well as for building blocks responsible for growth, and begins when specialised cells called chloroplasts, which hold reaction centres containing green chlorophyll pigments, absorb light energy. As summer comes to an end, the light begins to change and the days become shorter. This noticeable change brings with it a dwindling supply of prey for many animals, signalling a time to enter a state of ‘suspended animation’ and final feast of food before plunging into deep slumber. Sounds appealing, doesn’t it. Plants too acknowledge a change in day length and temperature, and begin to prepare themselves for reduced sunlight, and therefore reduced food. This period of preparation, my friends, is autumn. Trees themselves are well and truly capable of enduring the harshest of winter conditions from wind, to snow, ice cold temperatures and the occasional lumberjack. Their leaves, though? Not so enduring. Being the Achilles’ heel of the tree, with severe vulnerability to freezing and excess damage, they must shed their leaves. However, before the grand release, the tree undertakes a unique process. Now I’m going to throw you a little curveball here, which I promise will help explain this complex yet fascinating phenomenon. Our humble trees appear green as they contain specialised molecules that reflect green light called chlorophyll, however what’s incredibly interesting is that they are in fact absorbing significant amounts of red, blue and yellow wavelengths of light in order to survive. As we approach winter, our deciduous trees respond by entering this ‘hibernation’ phase and cease their photosynthetic processes. 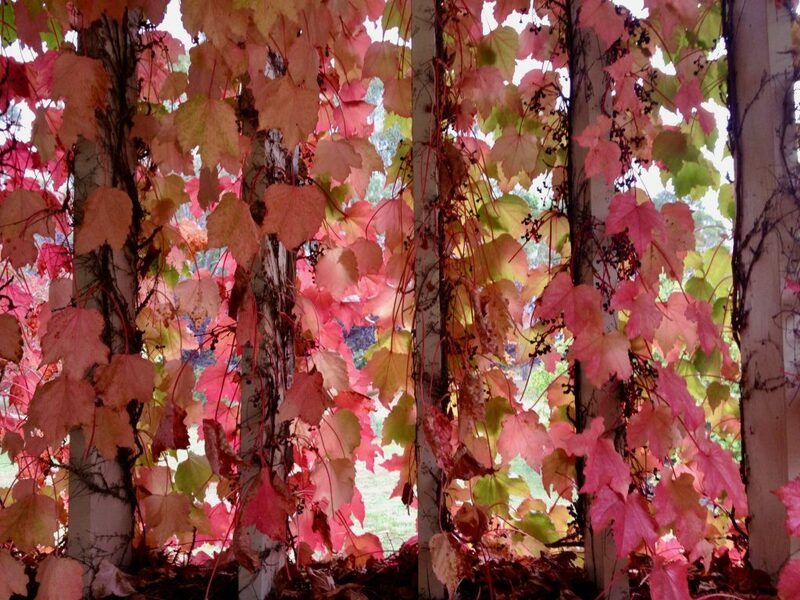 As a result the green-reflecting chlorophyll breaks down, revealing the previously hidden brilliant red, orange and yellow pigments of anthocyanin, carotene and xanthophyll. While the orange and yellow pigments exist hidden in the leaf right throughout the year, the red anthocyanin is not synthesised until chlorophyll begins to break down, and provides a ‘jailbreak’ for the leaf in that it offers protection from sun damage and lowers leaf freezing point, buying the tree valuable time to leach away any last remaining nutrients for its leaves. Kind of like our specialised animals utilising fat stores in the depth of hibernation to help keep their little heart beating. The magnificent display of colours produced is dependent on the species of plant with mixtures of pigments giving rise to the purples of Dogwoods and brilliant ambers of the Sugar Maple. Unfortunately, for autumn-adoring individuals such as myself, this superb display of colour must come to an end when food supplies are diminished, and we are left with the waste products encased in a brown crisp, which crackles underfoot. To further plunge into the depths of winter safely, the tree severs its water and nutrient supply to the leaf, and corresponding cells swell like sponges before the leaf is blown free or drops leaving behind the tiniest of scars. Our deciduous trees, on completion of this magnificent spectacle, are then fully prepared to endure the depths of winter, preserving life for a long awaited spring. And with a top of 8 degrees here today, it can’t come fast enough! !